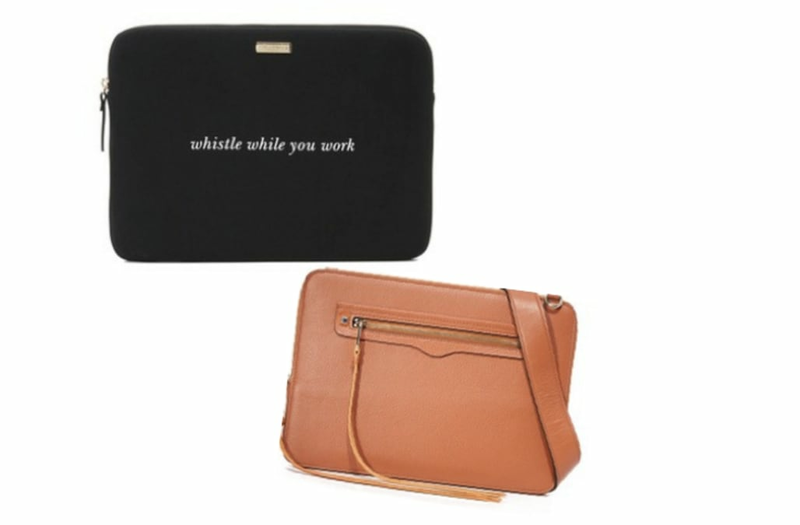 Having a functional laptop case that is also stylish is essential when it comes to your everyday work commute. Finding one that protects your laptop and keeps it safe all while staying stylish is a win-win! Whether you are a minimalist and in search for something simple or are looking to spruce it up with a print, shop these 16 laptop cases in the gallery below! This Calvin Klein logo bag is the easiest way to embody minimalistic efforts. It is both super functional and super chic! One can never go wrong with a classic Longchamp bag. This one in particular expands up to 21 inches! Never worry about not being able to fit all your necessities ever again. This glossy nylon bag is perfect for all things travel! With a 3-pocket interior, you will always be organized. LeSportsac is a classic go-to when it comes to looking for travel gear. We love this metallic python print, but if you prefer to tone it down, it comes in multiple colors! You can never go wrong in an all black ensemble, so why not match your luggage to your look? For the jet-setter on a budget, this weekender retails for under $60. This waterproof duffel bag is a modern mix of sporty mesh and faux-leather. This option makes a great gym bag perfect for shoes or damp clothes. This overnighter features a flat base and a roomy interior. It is the ideal companion for any weekend getaway. This duffle is crafted from rugged coated-cotton canvas and equipped with a double strap and a comfortable leather handle. This faux-leather duffel is the perfect size for weekends on the go. With an adjustable strap for a comfortable fit, this will be your new go-to!